I've spent more time than I'd like to admit this past week thinking about the ol' 80/20 Rule. Basically the idea that 80% of your outcome requires 20% of your effort and that 80% of your effort is required to get that last 20%. This theory has been once again been proven true when it comes to my Smitten quilt. 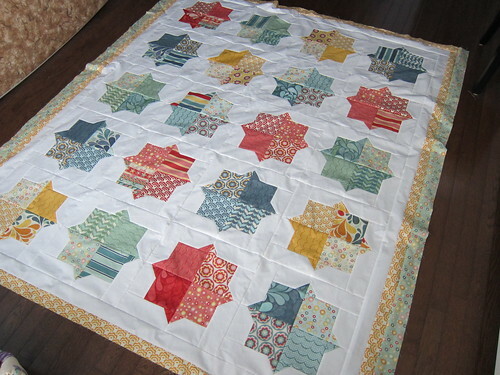 I finally got the blocks pieced together last weekend. That took only part of Saturday. For sure I was going to have a finished quilt top by the end of the weekend. FOR SURE. 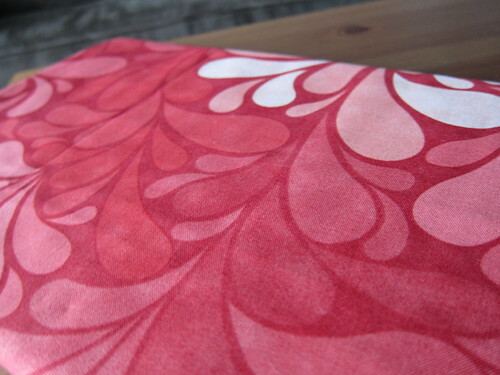 Then I cut and attached the first border from the background fabric. 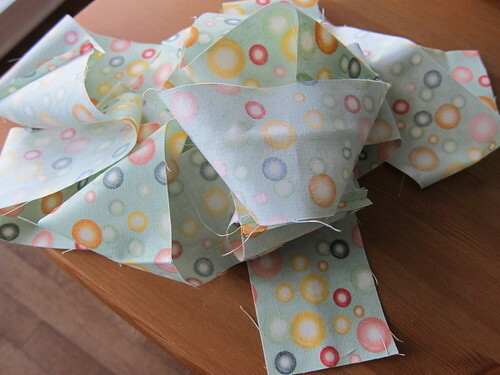 When that was finished I cut a yellow border and sewed that on and then came the green border. You can see from the top photo that attaching the green border is stalled at the halfway point. I have attached the long sides but now need to finish up the top and bottom. The end seems so close but so far. Once I pull myself together to finish the green border, I am then faced with the red border. After that I have to make a backing, baste and quilt this bad boy. Totally an 80/20 situation. So close but it is going to take a lot more effort to get there. Sew on. It is going to be lovely, though! I totally know what you mean! I've found that I can kind of "trick" the 80/20 rule by switching up the order in which I do things - like piecing the backing before I finish the top, so I can move straight to basting, or making the binding before I finish quilting, so that I can sew it on right away. And your quilt does look great, so all that effort will be worth it in the end.